Conservatory and Orangery Building Company in London We at Ideal Homes Ltd, are rightly proud of the enviable reputation we have built up over 25 years around London, the Midlands and Home Counties. We are one of the premier companies in the UK for the installation of conservatories, and the majority of our staff have worked in the industry for over 20 years, giving us a wealth of experience and expertise that is second to none. 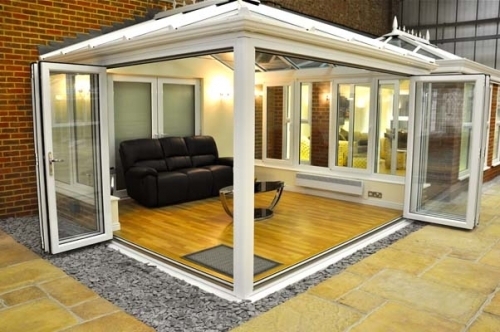 Only the highest quality of materials go into the construction of your conservatory, ensuring that it keeps its looks for years to come and can be used all year round. With a wide choice of shapes, sizes and styles, you will find your dream conservatory become a reality when you hire Ideal Home Conservatories & Windows to construct it for you.